Visit: HOME PAGE : "HEALTHY CLEAN BUILDINGS"
Visit: A TOXICITY REPORT ON CLEANING CHEMICALS! THE "GREEN SEAL" CONTROVERSY ! NEW YORK STATE MANDATES "GREEN CLEANING"
On January 10th, 2005, New York State George Pataki announced in his 2005 State-of-the-State Address on Wednesday that he signed an Executive Order mandating state agencies and authorities to use ONLY non-toxic cleaning supplies, and that legislation is currently being created for a similar mandate concerning ALL New York State schools. Presently, this Executive Order regarding state agencies takes effect immediately, but will allow the agencies close to six months to use their remaining bulk cleaning supplies and ensure proper training for the use of "GREEN" cleaning products. The Executive Order states that "All State Agencies shall procure and use cleaning products having properties that minimize potential impacts on human health and the environment consistent with maintenance of the effectiveness of these products for the protection of Public Health and Safety. Additionally, these cleaning products will conform to guidelines set forth by the U.S. Environmental Protection Agency ( E.P.A.) for Environmentally-Preferable ( to be defined later ) Purchasing ( E.P.P.). The concept of "GREEN" , especially in regards to "CLEANING" is an overall philosophy, mindset, or objective to move away from "toxic" & "hazardous" petrochemical products and towards natural, bio-based ones ... ( FOR MORE INFORMATION ON "BIO-BASED" CHEMICALS, GO TO : "The Carbohydrate Economy Clearinghouse" Homepage - Scroll down to : "BIOCHEMICALS Web page" , ...which provide health and safety benefits to indoor environments while enhancing air quality. "PETROCHEMICAL" means any product derived from "CRUDE OIL" or a "PETROLEUM DISTILLATE" . "BIO-BASED" means a product which is derived from a renewable source such as the extracts or oils from fruits, vegetables, plant matter, seeds, or nuts. "GREEN" ,is NOT just purchasing a handful of cleaning products which are "Environmentally-responsible". This "GREEN" concept can also apply to purchasing and use of adhesives, carpeting,copying machine fluids, flooring, furniture, office supplies, paint, stationary supplies...just to name a few...in the workplace or at home. "HEALTH" is closely associated with the concept of "GREEN" Cleaning. The term "HEALTH" means different things to different people. Over the years, we have managed to "define 'HEALTH' " in a way which seems to satisfy most people. "HEALTH" is "PROTECTING THE SANCTITY OF THE HUMAN IMMUNE SYSTEM . As you know, the immune system is the human body's main system to fight disease. Any defect, compromise, or weakening of the immune system decreases a person's ability to fight infections. Our immune resistance is compromised and lowered by constant overexposure to chemical fumes & , irritant dust, mold, mildew, and bacteria. However, many factors in the environment -both... controllable and uncontrollable--overload the immune system and causes it to break down and be less protective. Factors that we can easily control, such as the cleaning chemicals that we use, should become our main focus and starting point...because the ONLY individuals that are affected by them...are us ! "GREEN" IS "GREEN" with the terminology of "GREEN" denoting a substance deriving from natural elements -or-biobased ( renewable resources coming from fruits, vegetables, plant life, or extracts from oils of seeds and nuts). Unfortunately, the concept of "GREEN" seems to have been corrupted and diminished by so-called "industry experts" and "independent environmental testing laboratories" who appear to have political or business motives (and close ties to the petrochemical industry) and have moved away from the original, higher standards set forth by the U.S. Department of the Interior and the Environmental Protection Agency ( which will be provided below ). Although petrochemical products ( derived from crude oil or petroleum distillates ) are now deemed "GREEN" ( an oxymoron based on the guidelines set forth by these federal agencies ), THESE PETRO-PRODUCTS ARE ABSOLUTELY NOT "GREEN" ! APPROX. SIXTY-PERCENT (60 %) of the products listed as being "GREEN SEAL" Certified on their "approved list" are basically the same petrochemical cleaning products that have always been used by professional custodial cleaners, with minimal, if any, changes in chemical formulation. In many instances, the only difference is the dispensing systems which have been changed and shunt more water through the system to lower "toxic" thresholds . Another means of compliance has been to replace a more "toxic" ingredient with a lesser one. Nevertheless , the product still remains a "toxic" petrochemical with the same hazardous aspects, although admittedly, to a lesser degree . If the original intentions of environmentally-certified cleaning chemical products were to allow these 60% of petrochemically-derived products to make "Environmental -preferable" claims, the grouping of products should have been referred to as "BLACK CLEANING" --or-- "BROWN CLEANING" ( the color of crude oil ) instead of "GREEN" ! These same "GREEN SEAL" certified products also contain inherent dyes and artificial fragrances and are manufactured by THE ever-present petro-cleaning chemical giants in the industry . ( 3M ; BUCKEYE INTERNATIONAL; BUTCHERS; CANBERRA; COASTWIDE LABORATORIES; ECOLAB; ENVIRO-SOLUTIONS; ESSENTIAL INDUSTRIES; HILLYARD; JOHNSON WAX PROFESSIONAL; NATIONAL CHEMICAL LABORATORIES; PIONEER ECLIPSE; ROCHESTER MIDLAND; SPARTAN; and STEARNS . In fact, it seems that the petrochemical industry -one of the largest and most powerful lobbies in the country - has found it much easier to buy its way into the "GREEN" concept with minor changes to its chemical formulations than changing these formulations to "BIO-BASED CHEMICALS ALTERNATIVES" as mandated by the overseeing federal agencies defining "GREEN" at the expense of our HEALTH & WELL-BEING ! In February 1993, Public Building Services (PBS) of the federal government's General Service Administration (GSA) began the "Cleaning Products Pilot Program". At that time, the objective was to identify specific "ENVIRONMENTALLY-PREFERABLE"( the only viable, legally-binding environmental cleaning chemical term assigned by the federal (and state) governments for products with credentials regarding testing/performance criteria and impact on the environment and health/safety of individuals) cleaning products with reduced health and safety concerns for use in cleaning over 7,000 federal buildings. Up to that date, most of the publicly available environmental information on products consisted of UNSUBSTANTIATED VENDOR CLAIMS OR "HOME REMEDIES" ( with descriptions like "Environmentally-Friendly" and "Environmentally-Safe"). PBS officials wished to define and identify "GREEN" cleaning products. Product usage was chosen as the key focus for assessment since it was indicative for the greatest direct health risk from the cleaning products to custodial workers to occupants. Consequently, specific environmental attributes were identified to help assess the environmental preferability of commercially available cleaning products (OR THE INACCURATE DESCRIPTION, "ENVIRONMENTALLY-SAFE" ,or ,"ENVIRONMENTALLY-FRIENDLY" which really should be described ONLY as "ENVIRONMENTALLY-PREFERABLE" as defined by the federal and state government with such programs ). 11) Impact on energy requirements. During this time, a cleaning subcontractor to the General Services Administration at a GSA-managed facility in New York City requested that its key chemical supplier -"Rochester Midland"-adjust its petrochemical formulations with lower "toxic" thresholds and "health" as the over-all concern. Based on these reduced "toxic" formulations in accordance with the required 11 standards stated above, Rochester Midland's efforts reduced the number of health complaints from building tenants caused by the cleaning products being used by the cleaning subcontractor . These products, although petrochemical, were acknowledged as the first "Environmental Preferable" Cleaning Products. FOR MORE INFORMATION, GO TO : "E.P.A. : Cleaning National Parks" Report. Eliminate or greatly reduce the use of "toxic", hazardous, and environmentally harmful cleaning chemicals, and potential human health risks. Choose the safest and "greenest" janitorial products with a proven track record in commercial operation. Involve top management, first line supervisors and janitorial staff in all aspects of this process to ensure long term success. WHY CHANGE TO "ENVIRONMENTALLY PREFERABLE" CLEANING PRODUCTS ? "...Many common cleaning products contain chemicals which, in their pure form, have shown to have health effects and/or which pose storage and disposable concerns..."
"...While indoor air quality problems can arise from inadequate housekeeping that fails to remove dust or other contaminants, cleaning products themselves produce odors and emit a variety of chemicals that can contribute to poor indoor air quality...Selecting cleaning products that minimize these emissions can provide a clean environment while protecting the health of workers and applicants..."
"...There is growing evidence that some chemicals in cleaners are agents that cause asthma or make it worse. In 4.6% of working asthma cases ( 51 cases out of 1,101), the putative agent was cleaning materials...the Massachesetts Department of Public Health in April, 1998, reported that more than 10% of the work-related asthma cases reported list cleaning agents as the suspected asthma agent. These cleaning agents included bleach, chlorine, floor stripper,ammonia, sodium hydroxide, muriatic acid, detergents, and disinfectants..."
"...In 1986, the "National Institute for Occupational Safety & Health" reported that soaps, detegents and "cleaning compounds NOT classified anywhere" were cited as responsible for 10,252 work-related emergency room visits..."
"...THESE LIMITED DATA SUGGESTS THAT USERS OF CLEANING PRODUCTS SHOULD LOOK FOR THE LEAST TOXIC PRODUCTS THAT CAN DO THE JOB IN ORDER TO MINIMIZE POTENTIAL HEALTH AND SAFETY RISKS...". Add Environmental Performance Into Your Cleaning Program . 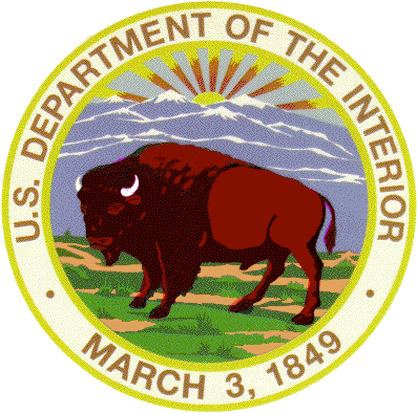 Since the NATIONAL PARK SERVICE falls under the auspices of the U.S. DEPARTMENT OF THE INTERIOR , the "definer" and "guardian" of "GREEN" changed over from the General Services Administration to the U.S. Department of the Interior ( where it remains today ).In 2001-02, the U.S. Department of the Interior enacted a "paradigm shift" which COMPLETELY re-defined and became the most encompassing definition of a "GREEN Chemical" to date . The 3 MOST RECOGNIZABLE AND EASILY ACKNOWLEDGED FEATURES of this NEW DEFINITION ARE : # 1) MUST BE BIO-BASED ( NO PETROCHEMICALS ) ; #2 ) NO PETRO-DYES IN PRODUCTS ( NO BLUES,GREENS,YELLOWS, OR ANY OTHER COLOR unless provided by natural means) ;and #3 ) NO ARTIFICIAL PETRO-PERFUMES ( NO...PINES , MINTS , CHERRIES , VANILLAS , LEMONS ... - unless provided through natural means ). Unfortunately, several definitions of "GREEN" -or-Environmentally-Preferable cleaning chemicals already exist across the country as each state or municipality develops its own definition of "Environmentally-Preferable Purchasing (E.P.P. )"; or independent, privately-held corporations such as "GREEN SEAL" (see below) creates its own definition of "GREEN". In most instances, these definition ( that fall outside the scope of the U.S. Department of Interior ) obfuscates and perverses the TRUE meaning of "GREEN" for political and/or financial ( since "GREEN" is quickly becoming "BIG BUSINESS") gain; or expediates government purchasing of these "types of products" while losing sight of its original purpose --"TO PROVIDE THE BEST CLEANING CHEMICAL PRODUCTS WHICH PROMOTE THE HEALTH & WELL-BEING OF PEOPLE". Must Not Contain Any *Carcinogens, **Mutagens, or ***Teratogens Designated by Federal Law. Heritage") , any agent such as virus, a drug, or radiation, that adversely affects and causes malformations of a developing fetus or embryo ) . or marine] or forestry materials). MUST NOT CONTAIN PETROCHEMICALLY-DERIVED FRAGRANCES. product. FOR MORE INFORMATION, GO TO : "BIODEGRADABLE" Defined. Photochemical Smog and Poor Indoor Air Quality. Must Have a Flash Point Higher than 200º F.
VOC Levels for Appropriate Cleaning Product Categories. Must Not Contain Ingredients Included on the "Chesapeake Bay Program's Toxics of Concern List" . and to Ensure Proper Dilution Ratios. (e.g., Arsenic, Lead, Cadmium, Cobalt, Chromium, Mercury, Nickel, Selenium) . Must Not Contain More than 0.5 Percent by Weight of Phosphorous. Must Not Contain Persistent or Bioaccumulative Substances. Ironically, GREEN SEAL Certification Standards are non-compliant with these Environmental Attributes set forth by the overseeing federal agency with jurisdiction regarding "GREEN" Cleaning by certifying products which # 1 ) ARE DERIVED FROM PETROLEUM ; #2 ) CONTAIN PETROCHEMICALLY-DERIVED FRAGRANCES ; # 3 ) CONTAIN PETRO-DYES; and # 4 )ARE CORROSIVE ( in concentration ). THE U.S. DEPT. OF INTERIOR "GREEN" STANDARDS ! "INTRODUCTION : EPA's Final Guidance on Environmentally Preferable Purchasing ( E.P.P.)" "The Beginning -TABLE OF CONTENTS : EPA's Final Guidance on Environmentally Preferable Purchasing ( E.P.P.)" On August 20th, 1999, the E.P.A. released a report in the "FEDERAL REGISTER" ( For a copy of the original "Federal Register" , CLICK HERE ! ) entitled "Federal Register :"FINAL GUIDANCE ON ENVIRONMENTALLY PREFERABLE PURCHASING FOR EXECUTIVE AGENCIES; NOTICE" . On September 14, 1998, President Clinton signed Executive Order (EO)13101, entitled ""Greening" the Government through Waste Prevention, Recycling and Federal Acquisition." Executive Order 13101 (EO 13101) supersedes EO 12873, Federal Acquisition, Recycling and Waste Prevention, issued on October 20, 1993, but retains a similar requirement for the U.S. Environmental Protection Agency (EPA) to develop guidance to "address environmentally preferable purchasing." (Section 503, EO 13101) The Final Guidance that follows is based on EPA’s September 1995 Proposed Guidance on the Acquisition of Environmentally Preferable Products and Services (60 FR 50721, September 29, 1995) and comments received on that Proposed Guidance as well as lessons learned from pilot projects conducted to date. The Final Guidance below is designed to help Executive agencies meet their obligations under EO 13101 to identify and purchase environmentally preferable products and services. Section 503 (c) of EO 13101 directs Executive agencies to "use the principles and concepts in the EPA Guidance on Acquisition of Environmentally Preferable Products and Services, in addition to the lessons from the pilot and demonstration projects to the maximum extent practicable, in identifying and purchasing environmentally preferable products and services" and "modify their procurement programs as appropriate." Furthermore, Section 23.704 of the Federal Acquisition Regulation requires agencies to "affirmatively implement" the objective of "obtaining products and services considered to be environmentally preferable (based on EPA-issued guidance)." "Environmentally preferable" is defined in Section 201 of EO 13101 to mean products or services that "have a lesser or reduced effect on human health and the environment when compared with competing products or services that serve the same purpose. This comparison may consider raw materials acquisition, production, manufacturing, packaging, distribution, reuse, operation, maintenance or disposal of the product or service." Implementation of the Final Guidance will draw on the procurement experience of the Executive agencies and on the environmental expertise of EPA and other organizations both within and outside of the Federal government. This guidance provides a broad framework of issues to consider in environmentally preferable purchasing and will help Executive agencies systematically integrate environmental preferability principles into their buying decisions. In addition to promoting environmentally preferable purchasing, EO 13101 ENCOURAGES Executive agencies to purchase "BIO-BASED PRODUCTS". (Section 504 (b)). Under the EO, "BIO-BASED PRODUCT" means "a commercial or industrial product (other than food or feed) that utilizes biological products or renewable domestic agricultural (plant, animal and marine) or forestry materials." "BIO-BASED PRODUCTS" may also be Environmentally Preferable. Made from renewable resources by definition, these products have many positive environmental aspects and should be considered by agencies looking to make environmentally preferable purchases. However, Federal purchasers should not assume all bio-based products are automatically environmentally preferable. As with other products, Executive agencies should consider a range of environmental impacts associated with bio-based products when making purchasing decisions. In some cases, factors such as pesticide use or high water consumption might make a bio-based product less environmentally preferable. The list of bio-based products which the U.S. Department of Agriculture will issue under Section 504 of EO 13101 will be a good starting point for Executive agencies looking to identify environmentally preferable purchasing. During the development of pilots under Section 503 (b) of the EO, EPA will look for opportunities involving bio-based products. "Cleaning Products Pilot Projects Fact Sheet ( G.S.A./E.P.A.- 1997 )"
In its June 1997 report ( E.P.A.Report #742-F-97-001 ) entitled "CLEANING PRODUCTS PILOT PROJECT FACT SHEET", the E.P.A. developed a list of a list of Environmentally Preferable Cleaning Product Attributes-- WHICH STILL APPLIES TODAY ! # 1 ) SKIN IRRITATION : Cleaning Chemical Products with a lower skin irritation potential are more preferable. # 2 ) FOOD CHAIN EXPOSURE : Cleaning Chemical Products that contain ingredients that are less likely to accumulate in the food chain are preferable. # 3 ) AIR POLLUTION POTENTIAL : Some Cleaning Products contain VOLATILE ORGANIC COMPOUNDS ( V.O.C. 's ) that can escape during product use. V.O.C. 's have been linked to smog formation, which has been shown to cause eye, nose, throat, and lung irritation; and to cause asthma attacks. The lower the V.O.C. percentage, the more preferable the product. # 4 ) FRAGRANCES : Fragrances are added to some Cleaning Products to improve their odor or mask offensive odors. A basic principle of "pollution prevention" is to avoid additives that are unnecessary, which might suggest AVOIDING products with "FRAGRANCE ADDITIVES". # 5 ) DYES : Like fragrances, some Cleaning Products contain dyes to change or enhance the aesthetics of a product. While the addition of dyes contribute little to the cleaning value of a product...a basic principle of Pollution Prevention is to AVOID UNNECESSARY ADDITIVES... .
# 6 ) PACKAGING - REDUCED/RECOVERED CONTENT : A product's packaging can account for a significant portion of the product's contribution to the solid waste stream . Products with reduced packaging or recovered content packaging are preferable. # 7 ) PRODUCT INCLUDES FEATURES TO MINIMIZE EXPOSURE TO CONCENTRATE : Although packaging a product in concentrated form may result in reduced packaging, it raises the potential that the end-user of the product will be exposed to the concentrate . It is preferable that products shipped as concentrates are provided in packaging that minimizes concentrate exposures. From copy paper to cleaners, automotive fluids to printing services, every product purchased can have an impact on human health and the environment. Federal or state laws throughout the country are highly suggesting or mandating governmental agencies and other public entities to purchase recycled, repairable, and durable goods. ENVIRONMENTALLY PREFERABLE PURCHASING ( E.P.P. ) is a federal-wide program that encourages and assists Executive agencies in the purchasing of "environmentally preferable" products and services. What is "ENVIRONMENTALLY PREFERABLE ?" "...products or services that have a lesser or reduced effect on human health and the environment when compared with competing products or services that serve the same purpose..."
"U.S.Environmental Protection Agency's ( E.P.A. )"- COMPREHENSIVE "BUY-RECYCLED"
ON ENVIRONMENTAL INFORMATION for PRODUCTS & SERVICES . "U.S.Environmental Protection Agency's ( E.P.A. )"- MOST UP-TO-DATE E.P.P. DATABASE. HOSPITALS for a HEALTHY ENVIRONMENT : "How To Do E.P.P. In Hospitals." AMERICAN NATIONAL STANDARDS INSTITUTE ( A.N.S.I. ): An A.N.S.I. Introduction to E.P.P. Greening Your Purchase of Cleaning Products. WHY GREEN YOUR CLEANING PRODUCTS ? Cleaning products present several human health and environmental concerns. They contain chemicals associated with eye, skin, or respiratory irritation and other human health issues. They also can include materials with potentially harmful environmental consequences such as toxicity to aquatic plants and animals and nutrient loading ( e.g.phosphates ) that can lead lead to eutrophication, suffocating native aquatic life. Additionally, the concentrated forms of many cleaning products are classified as "hazardous waste", creating potential handling, storage, and disposal issues for users. Reducing these human health and environmental effects is an important incentive for implementing an E.P.P. cleaning products program. Millions of tons of cleaning products are washed down drains every month. These products often contain toxic chemicals that can find their way into drinking water supplies or streams and lakes. General-Purpose cleaning products have been shown to contribute approximately eight percent ( % ) of total non-vehicular volatile organic compound ( V.O.C. ) emissions, which contribute to smog formation, retard plant growth, and can cause respiratory distress in some people. Most people spend more than ninety percent ( 90 % ) of their time indoors, thus exposure to indoor environmental hazards has lead to many health concerns . Cleaning products are the chemicals MOST frequently involved in poisonings reported to Poison Control nationally . The cleaning industry employs 2-3 million janitors; but due to very high turnover, even greater numbers of people are affected . 1. Choosing less hazardous products can minimize harmful impacts to custodial workers, improve indoor air quality, and reduce water pollutions . 2. Buying cleaners in concentrates and returnable packaging reduces packaging waste . 3. Buying less hazardous cleaners may reduce hazardous waste costs when it comes to properly dispose of any leftover cleaners . 4. Switching from traditional cleaning products to biodegradable, low toxicity, or otherwise less harmful products can dramatically reduce the environmental impace of routine cleaning activities without sacrificing cleaning effectiveness . 5. Some studies have suggested that improving indoor air quality in work environments can improve overall productivity by more than eight ( 8% ) percent . It can be challenging to evaluate the environmental attributes of cleaners. Some companies have changed their marketing schemes to use words such as "environmentally friendly" -or-"natural" on their product labels when their products continue to contain hazardous chemicals. So how can you make an informed purchasing decision ? Try this list of some of the attributes considered, in addition to price and performance, by some organizations when selecting "environmentally preferable" cleaning products . Many organizations incorporate some of these attributes into their cleaning service contract specifications . It is arranged into simple lifecycle categories. AVAILABILITY : As information about the risks posed by some cleaning products has emerged, consumers have begun to explore opportunities to use less harmful products. As a result, the industry has begun to produce new products that are less harmful to human health and the environment . PERFORMANCE : Many of the users of these new products report that performance is equal to, or even superior to, conventional products . However, when soliciting vendor proposals, performance issues should be addressed directly in the specifications for cleaning products. Since improper use can affect the performance of cleaners, vendors should be required to provide training to maintenance staff on the proper use of their products . PRICE : Products that appear to be priced higher than a traditional cleaner may actually be LESS expensive to use when the full cost of using standard products is considered . Such costs include worker training, environmental and workplace regulations, and leftover product disposal . If you buy cleaners with less hazardous components, you can reduce these costs. Furthermore, concentrated products that have a higher purchase price may actually be cheaper to use when properly diluted . To make accurate price comparisions, assess the "cost-per-application" , NOT the "cost-per-volume" . Use of renewable resources, such as biobased citrus, seed, vegetable, and pine oils . Some organizations have applied these criteria to substances used in the manufacturing process as well as the final product . 1. Irritating artificial dyes and/or fragrances . 2. Substances classified as known or likely human carcinogens by authorities such as the National Toxicology Program, the US EPA, or the International Agency for Research on Cancer . 4. Chemicals listed under the State of California's Safe Drinking Water and Toxic Enforcement Act ( Proposition 65 ) as causing reproductive toxicity . 5. Regulated hazardous materials ( e.g. products classified as hazardous waste products that trigger OSHA hazard communications requirements ) . __Acute toxicity-usually defined in terms of a single dose or short-term air concentration that can cause lethality ( LD 50/LC 50 ). __Chronic toxicity ( includes a wide variety of adverse effects that can make result from long-term exposure exposure to a substance ) . __Flashpoint ( a higher flashpoint indicates a lower potential for flammability/combustibility, liquids with a flashpoint below 100 degrees F are considered flammable ). __Effective with cold water instead of hot, which will help reduce energy use. __The consumption of petroleum, a non-renewable resource, to be used for energy during manufacture and/or as a product component, can serve as an indicator of acid rain, climate change potential, air pollution, and associated human health risks, as well as risks to endangered species and fragile ecosystems . __Choose pump spray containers instead of aerosols . Pressurized aerosol products are usually high in VOC content . Aerosol propellants often produce a finer mist so the product can more easily be inhaled by workers. Aerosol containers may be hazardous to workers if punctured. Also any hazardous product left in an aerosol container makes the entire container a regulated hazardous waste, which means more expensive disposal . __In general, concentrated formulas are preferred because they reduce the amount of packaging and reduce the amount of energy used in shipping the product . However, concentrated products can present hazard issues that must be addressed to ensure worker safety and proper disposal . __Disinfectant products serve an important function in certain areas. However, many of these products can present health or ecological concerns . Disinfectant products should be limited to applications where it is important to control infectious agents. Many types of general purpose cleaning DO NOT require the use of disinfectants . SIXTY PERCENT ( 60 % ) of GREEN SEAL CERTIFIED PRODUCTS MAY NOT BE "GREEN" AT ALL ! #3 ) NO ARTIFICIAL PETRO-PERFUMES ( NO...PINES , MINTS , CHERRIES , VANILLAS , LEMONS unless provided through natural means ). Additionally, this "GREEN" definition is strongly supported by the ENVIRONMENTAL PROTECTION AGENCY ( EPA ) throughout various documents, as indicated above . The focal point of "GREEN CLEANING" from its conceptual inception was to identify cleaners which provide and promote the BEST HEALTH and WELL-BEING BENEFITS to people . May NOT be toxic to humans in undiluted form. The standard sets specific toxicity thresholds for oral, inhalation, and skin exposure, and prohibits products from containing "any ingredients that are known, probable, or possible carcinogens or that are known to cause reproductive toxicity" . May NOT be combustible ( the product's flash point or that of 99 percent of its ingredients by volume, must be above 150 degrees F.
--1 percent by weight for general-purpose and bathroom cleaners. May NOT, as used, be toxic to aquatic life as measured by a specified test at certain concentrations . May NOT, as used, contain more than 0.5 percent by weight of total phosphorous . Each organic ingredient ( except for antimicrobials in bathroom cleaners ) must be readily biodegradable, as defined by the Organization for Economic Cooperation and Development ( OECD ) . May NOT contain alkylphenol ethoxylates ( abbreviated in this report as APE's, and sometimes called APEOs ); dibutyl phthalate ( a persistant, bioaccumulative, and toxic chemical); heavy metals ( including arsenic, cadmium, chromium, cobalt, lead, mercury, nickel, and selenium ); or any ozone-depleting compounds . Any fragrances contained in the product must be identified on the Material Safety Data Sheet ( M.S.D.S.) . Below are excerpts from two (2 ) MATERIAL SAFETY DATA SHEET ( M.S.D.S.) of EXISTING "GREEN SEAL" Certified Products ( As listed on www.greenseal.org/certproducts.htm ). Based on "toxicity", "corrosiveness", and HMIS Health Rating, one truly has to scratch his/her head and wonder HOW certification was provided to products which clearly DO NOT meet the GS-37 Standard based on their own merits . "3M "TWIST & FILL" BATHROOM DISINFECTANT CLEANER" ( Product No. 4 ). ( Health Effects : Skin Contact-Causes irritation and burns to the skin- Corrosive to skin; Inhalation-Irritates the mucous membrane and upper respiratory tract. In extreme cases, severe irritation and burns may result ; Eye Contact-Can cause severe irritation or burns with eye damage; Ingestion-Material causes irritation and burns to digestive tract . Malic Acid-Causes irritation to skin, eyes, and respiratory tract . May be harmful if swallowed . ( Health Effect : may cause mutations; may damage the fetus; high exposure may affect the liver and nervous system ). May Cause Chemical Eye Burns. May Cause Chemical Skin Burns. May Cause Target Organ Effects . Eye Contact : CORROSIVE ( Eye Burns ): Signs/symptoms may include cloudy appearance of the cornea, chemical burns, severe pain, tearing, ulcerations, significantly impaired vision or complete loss of vision . Skin Contact : CORROSIVE ( Skin Burns ) : Signs/symptoms may include localized redness, swelling, itching, intense pain, blistering, ulceraton, and tissue destruction . Single exposure may cause Upper Respiratory Tract Irritation -Signs/symptoms may include cough, sneezing, nasal discharge, headache, hoarseness, and nose and throat pain. May be absorbed following inhalation and cause target organ effects. Ingestion : GASTROINTESTINAL CORROSION - Signs/symptoms may include severe mouth, throat, and abdominal pain, nausea, vomiting, and diarrhea; blood in the feces and/or vomitus may also be seen. Central Nervous System ( CNS ) Depression - Signs/symptoms may include headache, dizziness, drowsiness, incoordination, nausea, slowed reaction time, slurred speech, giddiness, and unconsciousness. "S.C. Johnson Wax Professional" "CREW"
BATHROOM CLEANER & SCALE REMOVER" . SECTION 1 : PRODUCT NAME -- "CREW BATHROOM CLEANER & SCALE REMOVER"
WARNING . CAUSES EYE AND SKIN IRRITATION . ( Health Effects : Corrosive to skin; [Quick CPC] 70% technical solutions cause severe burns of the skin and eyes. [HSDB]. ( Health Effects : Eye Irritant; Secondary Alcohol ethoxylate may contain trace amounts of ethylene oxide. Ethylene oxide is considered by OSHA as a potential CARCINOGEN. As shown above, documented "GREEN SEAL" certified products are "CORROSIVE" or "EXTREMELY IRRITATING" to both EYES and/or SKIN ; and report a relatively high HMIS "Health Rating" ( "2-3" ) on the MSDS in Concentrate . So... how can GREEN SEAL consider certification of these concentrates ( ? ) unless these petrochemical products comply ONLY after dilution through their respective available dispensers . For example, a 1:256 diluted quaternary ammonium disinfectant concentrate with corrosive labels on the side of its cardboard box and a Health Rating of "3" in concentrate should NEVER be considered "GREEN" no matter how much water you add to the product. This "Best Scenario" Approach to "GREEN CLEANERS" precludes the reality that automatic chemical dispensers malfunction and miscalibrate dilutions over time; professional custodial workers "cheat" to make products "work quicker and better" by adding more concentrate to their spray bottles ( when no one is looking ) ; and emergency situations such as fire and flood can release "toxic" and dangerous product concentrate into an enclosed, indoor environment. In fact, many of these cleaning petrochemical companies have two ( 2 ) sets of MSDS's available - either "in print"-or-"on the Internet" : one ( 1 ) for the Concentrate and one ( 1 ) for the Ready-to-Use product ( after the water is added ) . Many facility departments in schools, hospitals, institutions, and industry ONLY refer to the "Best Scenario" , "Ready-to-Use" one ! Contains VOC levels below 10 percent by weight of the diluted product . Does NOT contain ethylene, diamine, tetracetic acid ( EDTA ), or nitrolotriacetic acid ( NTA ). Is free of arsenic, cadmium, chromium, lead, mercury, nickel and selenium . UNFORTUNATELY, APPROX. SIXTY-PERCENT (60 %) of the products listed as being "GREEN SEAL" Certified on their "Approved List" are basically the same petrochemical cleaning products that have always been sold, with minimal, if any, changes in chemical formulation. In many instances, the only difference is the dispensing systems which have been changed and shunt more water through the system to lower "toxic" thresholds . Another means of compliance has been to replace a more "toxic" petro-ingredient with a lesser one. Nevertheless , the product still remains a "toxic" petrochemical with the same hazardous aspects ( ie : V.O.C. ( Volatile Organic Compounds ) Release into the Air ), although admittedly, to a lesser degree . These "GREEN SEAL" certified products also contain inherent dyes and artificial fragrances and are manufactured by the same, as always, cleaning petrochemical giants in the JANSAN industry . In the 1997 E.P.A. report entitled : "CLEANING PRODUCTS : Pilot Project Fact Sheet" ( http://www.epa.gov/oppt/epp/pubs/cleanfct.pdf ), it clearly states in Guideline # 4 : Fragrances : "AVOID PRODUCTS WITH FRAGRANCE ADDITIVES" while Guideline # 5 : Dyesclearly states : "LIKE FRAGRANCES, SOME CLEANING PRODUCTS CONTAIN DYES...AVOID UNNECESSARY ADDITIVES ." The same 60 % "GREEN SEAL" Certified products contain both dyes and fragrances which have devastating effects on individuals with "Multiple Chemical Sensitivities ( M.C.S.) and young children with allergies and asthma . These same inconsistencies are voiced in the Spring 2004 issue of " THE HUMAN ECOLOGIST " in an article written by Holly Prall entitled "CLEANING PRODUCTS : Some Risky, Some Less Toxic " - page 24 - ( Non-Governmental Programs ) which clearly reads : " The GREEN SEAL criteria surprisingly DO NOT rule out products with fragrances or dyes" . Outside of the issues of "PETROCHEMICAL" vs "BIO-BASED" alternatives or the use of "Petro-perfumes" and "Dyes" in products, the haunting aspect is that "GREEN SEAL" certification of products is being based upon "Best Scenario" instead of "Worst Scenario" circumstances. It appears after examination of MSDS sheets ( like the ones stated above ) that the health & safety aspects, and its environmental impact, of GREEN SEAL's Approved products are based on its water diluted, ready-to-use formulation instead of its most concentrated form . Several such documented "environmentally- certified" approved products are labeled "CORROSIVE" and report a relatively high HMIS "Health Rating" on the MSDS in Concentrate, but is considered "GREEN SEAL" certified after the concentrate is diluted through its available dispenser . Logic dictates that the most "toxic" of substances can be made innocuous by adding large quantities of water to it . This method of evaluation has always been a "trick" of the petrochemical industry for many years to justify the health and safety benefits of its most toxic and hazardous cleaners. The lowering of "toxic" thresholds by just adding more water to extremely "toxic" concentrates under "Best Scenario" conditions should NOT be accepted . In the pesticide industry, it is commonplace for chemicals to be evaluated on a "Worst Case" Scenario in the event of exposure . The same rule should apply to any cleaning chemicals...even "GREEN" ones. Without question , the original concept of "GREEN" cleaning products has been corrupted and diminished by "GREEN SEAL" from the original concept provided by Federal agencies over the years . The focal point from its conceptual inception was to identify cleaners which provided and promoted the BEST benefits of health and well-being to people . The term "GREEN" denotes "derived from Nature" and accordingly, the E.P.A. 's -EPP ( Environmentally Preferable Purchasing ) Guidelines clearly state that "GREEN" Cleaner attributes include NATURAL RESOURCE Use : a ) Avoidance of non-renewable resources, such as petroleum-or-hydrocarbon-based materials; and, b ) Use of renewable resources such as bio-based citrus, seed, and vegetables . It should be noted that FORTY ( 40% ) of Green Seal Certified products are bio-based and are not in question. In fact, "bio-based" alternatives with "GREEN SEAL" Certification IS THE MOST favorable recommendation . However, the 60% which are petrochemical in nature should be recognized as fraudulent, smoke and mirrored "GREEN" products with far lesser health or safety benefits than their "bio-based" counterparts . But, the GREEN SEAL Certification logo implies otherwise . Exposing children to the same "toxic" and "hazardous" chemicals under the guise of a different water dilution or label is NOT "Environmentally preferred" . # 1 ) WHY did "GREEN SEAL" distance itself from the Guidelines and Recommendations provided by the 2 Federal Agencies with oversight authority ( mainly, the U.S. Department of the Interior and the Environmental Protection Agency ( E.P.A. ) ) regarding the concept of "GREEN" Cleaning ? # 3 ) WHY did "GREEN SEAL" allow representatives from some of the larger petro-cleaning chemical companies such as 3M and SPARTAN to sit on its STAKEHOLDER COMMITTEE for the Industrial & Institutional Standard ; and then allow these SAME companies to submit their products for certification . Isn't lowering standards and catering to the special needs of the power brokers in the JanSan industry considered "selling out", a conflict of interest , and "violation of public trust " by a supposedly objective, third-party certifier ? #1 ) "GREEN SEAL" is a non-profit, private corporation who is accountable ONLY to its Board of Directors and Bottom Line INSTEAD OF the Public Well-Being . Remember...a "NON-PROFIT" status ONLY means that "GREEN SEAL" divests itself of profits in various ways from one fiscal year to another . Nothing more, nothing less. #2 ) "GREEN SEAL" , with its apparent inclusion of petrochemical products ( and dyes and fragrances ) provides an easy "buy-in" into the "GREEN" Movement for the Petrochemical Industry WITHOUT any change in chemical product formulations or accountability to the Consumer or Environment . In fact, the acceptance of petrochemicals as "GREEN" Products confuses the health and environmental issues and convolutes the original intent of safer cleaning chemical products. # 3 ) By charging exorbitant fees for its certification process ( far beyond the financial means of the smaller , bio-based manufacturers ) , "GREEN SEAL" Certification is evolving into an exclusive club of ONLY Giant PETROCHEMICAL COMPANIES who have dominated the Cleaning Product Industry forever . In short, "GREEN SEAL" Certification is being manipulated by industry power brokers for self-gain instead of truly recognizing healthier cleaning products to enhance indoor environments . # 4 ) Through its Stakeholder Committee whose membership includes representatives of the JanSan's Giant PETROCHEMICAL COMPANIES ( such as 3M and Spartan Chemical ) and whose membership agrees upon "GREEN SEAL's" 'Industrial & Institutional Standards' through "CONSENSUS"( another word for : "COMPROMISE"), it seems that "the bar" is being lowered to accommodate these companies self-interests INSTEAD OF assuring and protecting the interests of "health-challenged" individuals such as asthmatic children or "multiple chemical sensitivies" sufferers who have been guaranteed by the environmental community that the "GREEN SEAL" logo attached to any product represents the highest standards . CM e-News readers snub Green Seal cert? A recent CM/Cleaning & Maintenance Management Online® survey showed that few respondents believe they will consider certification under Green Seal, Inc.'s Environmental Standard for "GREEN" Cleaning Services. The CM B2B Trade Group's online surveys are not scientific: The results simply reflect the opinions of those visitors to the CM B2B Trade Group websites — CM/Cleaning & Maintenance Management Online, CM/Cleanfax Online, and Cleaning & Maintenance Distribution Online — who respond to the poll question on the sites. Of the nearly 400 respondents, over 90 percent said they will continue to operate without Green Seal certification. Only 5.3 percent said they will immediately pursue certification when it becomes available; and approximately 4.5 percent said they would consider certification based primarily on cost, time and effort required, or how many competitors sought it. However, the apparent lack of interest doesn't concern the initiative's proponents. "GO GREEN" AND "CLEAN" !! 'HEALTHY CLEAN BUILDINGS'- pledges itself to the same high standards of quality and service associated with this 'healthier and safer' program concept. 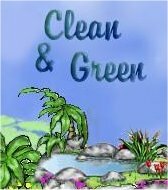 We take great pride in educating and training our proven and accredited "Environmentally "GREEN" Preferable" cleaning systems into institutional, school, industrial, municipal, commercial, and residential accounts...so, all of us, can enjoy a healthier, safer, & "GREENER" tomorrow. In advance, THANK YOU for your environmental concern ! 'HEALTHY CLEAN BUILDINGS'-located at 4 Wilmington Drive, Melville, New York 11747 (telephone: 631-643-1882; e-mail: healthycleanblgs@gmail.com -is dedicated to the elimination of existing, conventional "TOXIC" and "HAZARDOUS" cleaning chemicals in office, school and public buildings; and to advise homeowners accordingly about our widely recognized and accredited "HEALTHY & SAFE" Cleaning Program. This revolutionary cleaning system serves as an effective "environmentally-preferable" alternative to existing, conventional programs. Additionally, this program addresses controversial indoor environmental issues such as "Sick Building Syndrome"; "I.A.Q." (Indoor Air Quality); "Multiple Chemical Sensitivities" (MCS); allergic triggers; respiratory ailments, such as asthma; and other similar ' building occupant' concerns. LAURI HALPERN, is President and sole owner of "HEALTHY CLEAN BUILDINGS" ® -dedicated to "safe cleaning products that care". As a mother to two children, she pledges herself to the same high standards of quality and service associated with this 'healthier and safer' program concept. Her company- "HEALTHY CLEAN BUILDINGS" ® -has become a mecca for cleaning information on 'Environmentally "GREEN" Alternatives to conventional cleaning products due to HER involvement and commitment to these concepts. STAN HALPERN, Lauri's husband, is an environmental cleaning consultant for over 30 years. He advises facility directors, professional cleaning contractors, homeowners,and 'do-it-yourselfers' with their cleaning problems each and every day. In fact, he is one of the few, if ONLY, maintenance supply executives, listed with his accomplishments in "WHO'S WHO IN THE WORLD". As an environmental cleaning consultant, he takes great pride in recommending responsible "environmentally-preferable" solutions to facility managers in commercial, school, and public buildings regarding the healthiest and safest ways to address cleaning and maintenance problems in their buildings.